He is always right and others are wrong. It is inflexible to change man with fervor. He is always right and others are wrong. Donald Trump dubbed as bloviating ignoramus by the Republican commentator George Will fits the theory. The definition of ignoramus is one who is ignorant, a word originated from the famous 1615 play by George Ruggle. Trump has been trumpeting the “Obama birth” notes #123 over and over again despite that it has been proved beyond any doubt that incumbent President was indeed born in Hawaii. The self-appointed unofficial spokesman of the Republican Party, Rush Limbaugh, the pet poodle of Donald Trump, endorsed Trump by stating that President Obama was not born in the US and that he was born in Kenya. And on his website, Limbaugh titled the CNN interview between Donald Trump and Walter Blitzer “Trump blasts Blitzer on birth issue.” Those who watched the interview know that there were disagreements between both, but under no circumstances Trump scolded Blitzer as claimed by Limbaugh. When asked by Blitzer about the Hawaii State Bulletin 1961 notice about Obama’s birth, the “you’re fired” host repeatedly insisted, “Lots of people don’t think Obama’s birth certificate is original,” despite Blitzer pointing out that the release of the President’s birth certificate was authorized by the Alaska Governor, a republican. The GOP Presidential nominee Mitt Romney refused to be dragged into the “birther” issue. 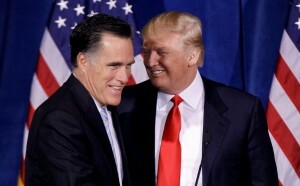 This is a slap on the face for Trump, who openly have reiterated that Romney is the man for the President. 19 Responses to "Donald Trumps Obama’s birth certificate controversy"
I dont care where obama was born but him releasing a amateurishly forged birth certificate makes him suspect. And yes I am an expert in electronic documents. Although I think the birther issues are important (I even find them fascinating), I came across an article that makes me realize that the Anointed One is unconcerned about his birth certificate, his Kenyan birth or even his constitutional eligibility. The article also made realize that Obama is also playing with us with his Kenyan birth and birth certificate. The article is “The real birther issue that Obama is deathly afraid of.” I saw it at http://www.manhattanLP.org. Obama might lose the next election, but it won’t be because of his birth certificate. The likes of Trump, sheriff Joe and their cronies pushing this conspiracy would never have voted for him anyway. Try to understand, the ‘Birther’ movie is over, the credits are playing, house lights are coming on, the audience is leaving…the birther talking points have been proven wrong, how long will you fools continue to flog that dead horse? You really need some new material to spew. First, let the record reflect: John McCain was the first presidential candidate of the 2008 election that was sued in federal court by a white, Democrat attorney, over his “birther” qualification, not Barack Obama. Furthermore, nothing has been proven as to where and when Obama was born. The Department of Health and Human Services, Office of Inspector General did a study of birth certificate fraud and produced a study entitled: BIRTH CERTIFICATE FRAUD OEI-07-99-00570. Its finding: A certified copy of a birth certificate is proof only that a birth occurred and was recorded. What this means is that all the other information contained in Obama’s two birth certificates must be proven the old fashion way, by a preponderance of evidence. Even if we take Barack Obama’s two Hawaiian birth certificates at face value, it would clearly demonstrate he is not an Article ll ‘natural born’ Citizen because his father wasn’t an American citizen when Barack was born. Mitt Romney has a similar problem…his father was born in Mexico to expatriated US citizen parents who gave up their US citizenship to be allowed by Mexican authorities to colonize in Mexico. By natural law, an Article ll ‘natural born’ Citizen is a person born a US citizen under the cloak of allegiance of the father. This is what de Vattel calls: the natural right of inheritance. Allowing the courts to decide who is or who isn’t a ‘natural born’ Citizen allows the government to create the ‘ruling class’ rather than our founding fathers and the Constitution. One thing is known for certain: if we allow Congress to create the ruling class, they will do so to their own advantage and we will soon lose yet another one of our most cherished, self-evident, unalienable truths: that all men are created equal. This is all the same old absurd approach to “truth” taken by the anti-evolutionists, the global-warming deniers, the moon-landing hoax-loonies and the flat-earthers. There’s even a group who firmly believe that the presidents represented on Mount Rushmore were a result of wind and erosion. Each seem to start off with a bizarre, almost improvable hypothesis that something everyone believes is actually a giant and extremely well-crafted hoax and then think that it’s the world’s duty to ‘prove’ to them that they’re wrong. And of course, their entire premise ia anyone trying to prove I’m wrong is part of the hoax is inherently impossible to break. Wishful thinking is synonymous with denial, all the wishing in the world won’t change anything.